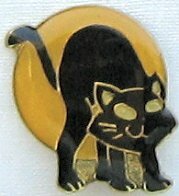 This little cat tie tack pin features a Halloween cat against a bright harvest moon. 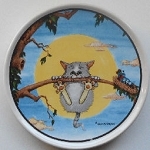 This enameled pin is 3/4" wide x 1" high. Previously owned but in new condition.